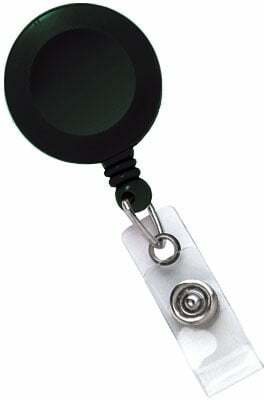 Brady Reel - Black Round Badge Reel, with Clear Vinyl Strap & Swivel Spring Clip. Reel Diameter 1-1/4" (32 mm). Cord Length 34" (864 mm) - Rated for 100,000 Pulls. Quantity of 25. The Brady 2120-7601 is also known as Brady People ID	2120-7601	or 21207601	.